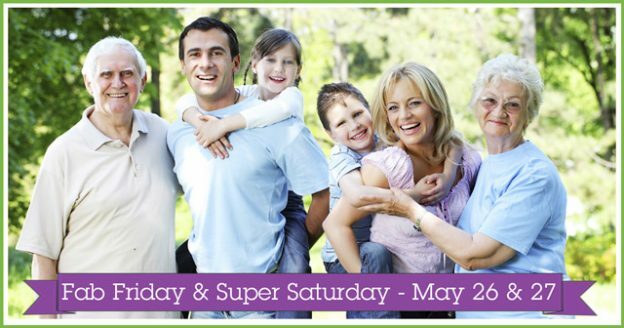 The countdown is on to May’s Fab Friday & Super Saturday at Evolv! The dates to remember are May 26 and May 27, and as usual, we have a fantastic range of offers, discounts, and free consultations lined up. Read on for details! Finding it hard to shed those stubborn pounds? Weight loss hypnotherapy sessions are just €35 on both Friday and Saturday. Allergy testing with our own Deirdre Parle is just €25 all day long on both Friday and Saturday. Ear candling, for help with ear and sinus problems, is just €15 on Friday. Booking is essential for all these offers – please call us at (053) 923 6009. Iridology – assessing the iris of your eyes to create a unique roadmap for your health. 30-minute appointments. Available Friday. Kinesiology – to get your energy flowing throughout your body. 40-minute appointments. Available Friday. Rahanni Celestial Healing – a new healing modality. 40-minute appointments. Available both Friday and Saturday. Lymphatic Cleansing Massage – relieving fluid retention and clearing your lymph glands. 40-minute appointments. Available both Friday and Saturday. Reiki – for stress reduction and relaxation, and to promote healing. 40-minute appointments. Available both Friday and Saturday. Pregnancy Massage – for relaxation and therapy at the most special of times. 40-minute appointments. Available both Friday and Saturday. Rolfing Therapy – to improve posture, relieve chronic pain, and reduce stress. 40-minute appointments. Available Saturday. Friday – Free consultation on new Super 8s Gold and new Digestive Enzymes. Also 20% off! Friday – Free consultation on Australian Bush Flower Healing essential oils. Also 20% off! Saturday – Meet herbalist Phil and learn how her unique healing balm can help with psoriasis, eczema, fungal skin conditions, cold sores, and more. Enjoy a Dr Haushka or Seavite facial with Josephine for just €10 – call (053) 923 6009 to book. Have a Tarot Reading for just €30 on Saturday – call (053) 923 6009 to book. 20% off the full range of True Natural Foods – and free tastings too! Get a free amber bracelet when you buy any amber necklace! 20% off ‘The Super Umbrella’! 20% off all mosaic lamps! You can see we’ve lots on offer on Fab Friday May 26, and Super Saturday May 27 – so don’t miss out! Call (053) 923 6009 to book any of our special offer treatments, or just call in store to pick up our great discounts. We look forward to seeing you!